Atticus Finch: The Biography [Audiobook] | Free eBooks Download - EBOOKEE! Who was the real Atticus Finch? A prize-winning historian reveals the man behind the legend. 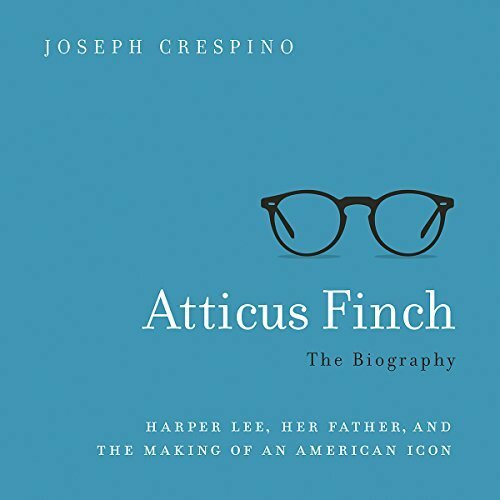 In Atticus Finch, historian Joseph Crespino draws on exclusive sources to reveal how Harper Lee's father provided the central inspiration for each of her books. A lawyer and newspaperman, A. C. Lee was a principled opponent of mob rule, yet he was also a racial paternalist. Harper Lee created the Atticus of Watchman out of the ambivalence she felt toward white southerners like him. But when a militant segregationist movement arose that mocked his values, she revised the character in To Kill a Mockingbird to defend her father and to remind the South of its best traditions. A story of family and literature amid the upheavals of the 20th century, Atticus Finch is essential to understanding Harper Lee, her novels, and her times. No comments for "Atticus Finch: The Biography [Audiobook]".